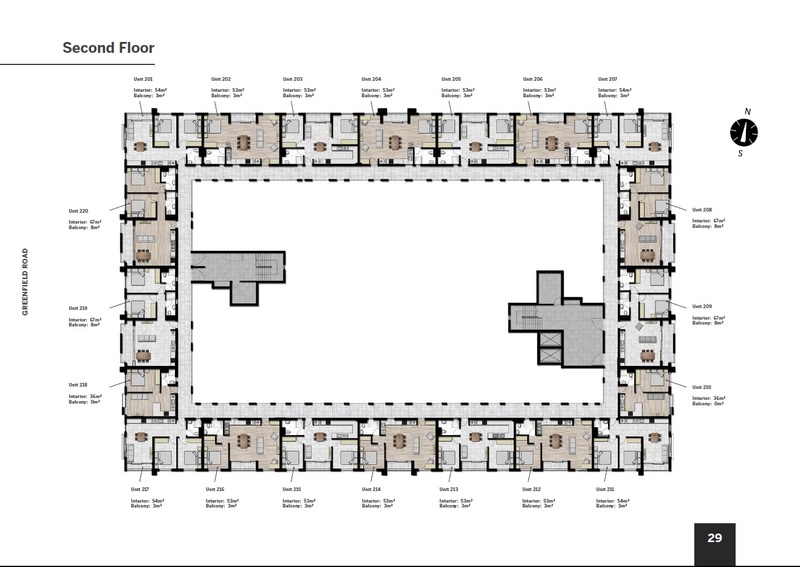 90 apartments carefully positioned over five levels make up this development. There are one and two bedroom apartments available with large terraces, and the third and forth floor consist of duplex apartments, that include 4 premium corner units featuring extensive wrap around terraces with exquisite panoramic views. 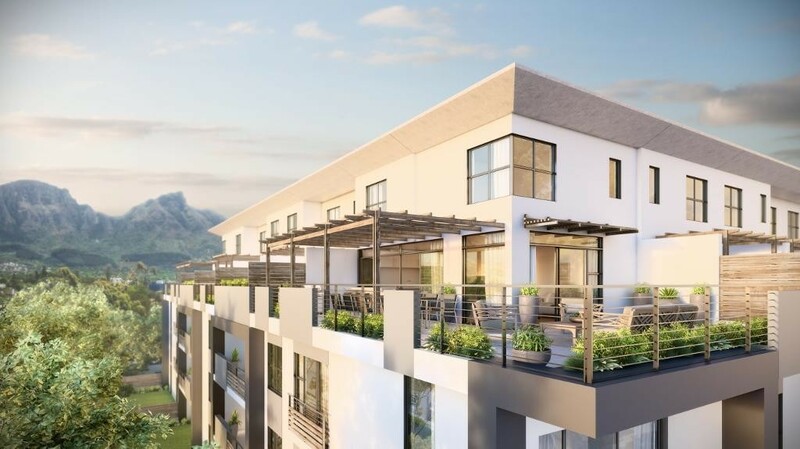 With clean lines and natural elements, Eighty Two on Harfield offers sophistication and prestige which fits in effortlessly with its physical surroundings. Together Gordon Hart Architects and Rawson Developers deliver excellence and modern day design. Features and designs have been chosen specifically to establish a development that is of the highest standards. Residents can choose between two finish options: Standard and Upgraded. Standard Finishes includes granite tops, white alpine cupboard doors with impact edging and 600 x 600 tiles throughout their apartment. Upgraded Finishes offer engineered stone counter tops, satin-wrapped cupboard doors, the choice between polished 600 x 600 tiles throughout or high-grade laminate flooring. Both options offer a luxurious look in all apartments. New York Loft - A cosmopolitan look featuring subtle light grey walls and light grey polished porcelain bathroom tiles and white vicostone or black granite kitchen counter tops. Classic Luxury - A clean classic look featuring muted neutral toned walls, ivory porcelain bathroom tiles and white vicostone or black granite kitchen counter tops. Carefully considered landscaping perfectly compliments the lush suburb. A host of plants and trees adds to this contemporary developments design. Perfectly located close to a variety of shops, bars and restaurants, cafes, Newlands and Cecelia Forest as well as easy access to all transport routes. Residents living at Eighty Two on Harfield can truly enjoy a neighbourhood that wholly combines contemporary living and everyday conveniences.